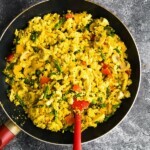 Tofu scramble that tastes so similar to actual scrambled eggs! Vegan, gluten-free, packed with veggies and ready in 20 minutes! It’s been a few years since I shared my last tofu scramble with you, and it was time to update the recipe a bit! Today’s new and improved tofu scramble tastes SO good, almost like real scrambled eggs. It’s creamy and soft, with a ton of flavor, and SUPER simple to prepare! And the best part about this recipe is how simple it is to prepare. You don’t need to press your tofu out, and you can have breakfast ready (or four meal prep portions) in just 20 minutes! Making your own tofu scramble is so easy, and you don’t need to press your tofu. Yay! Mash tofu up in a container. Leave some chunks. 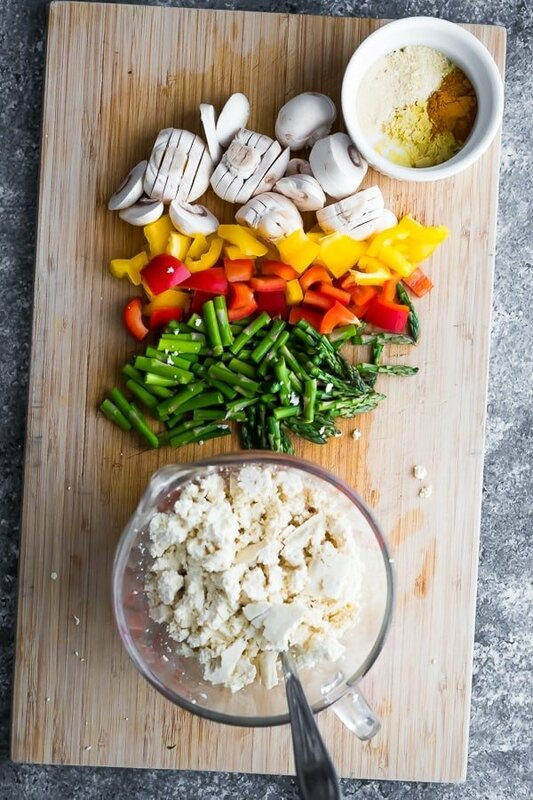 Chop veggies. I used mushrooms, bell peppers and asparagus, but you can use up what you have in the fridge! Mix up the spices and nutritional yeast in a small container. Cook! First sautee the veggies until soft, then add in the crumbled tofu, spice mixture, and some water. Mix until the spices are absorbed into the tofu. Enjoy immediately, or portion out into meal prep containers. How long do tofu scrambled eggs keep? 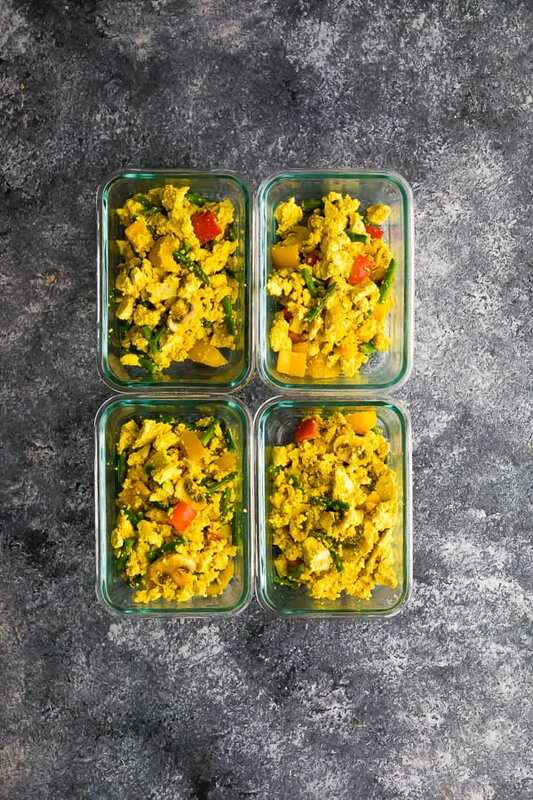 I have a 4 day rule with my meal prep recipes and this tofu scramble still tasted amazing on day 4! How do you reheat tofu scrambled eggs? I just pop it in the microwave and heat until it’s steaming hot! I enjoyed mine served on toast. 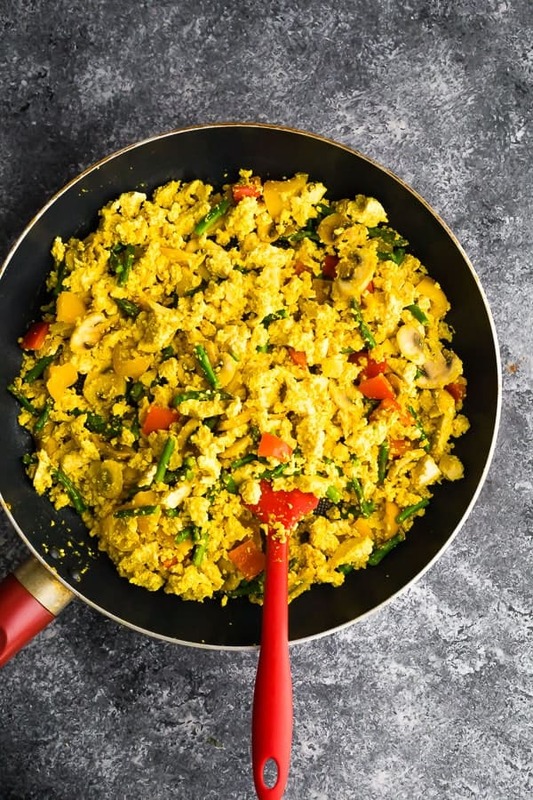 Can you freeze this tofu scramble recipe? Excellent question, and I have not tried this exact recipe, but I have frozen crumbled tofu before successfully so I think this would freeze/thaw well too. If you find it has extra moisture upon thawing, just drain it before reheating. 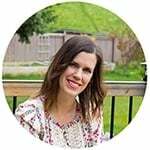 looking for more tofu recipes? Check out this Air Fryer Tofu, this Easy Baked Tofu Recipe and this Peanut Ginger Tofu Stir Fry! Heat olive oil in a large nonstick pan over medium heat. Add the asparagus, mushrooms & bell pepper, and cook for 5-7 minutes, until softened. While veggies are cooking, stir together the onion powder, garlic powder, turmeric, salt and nutritional yeast. 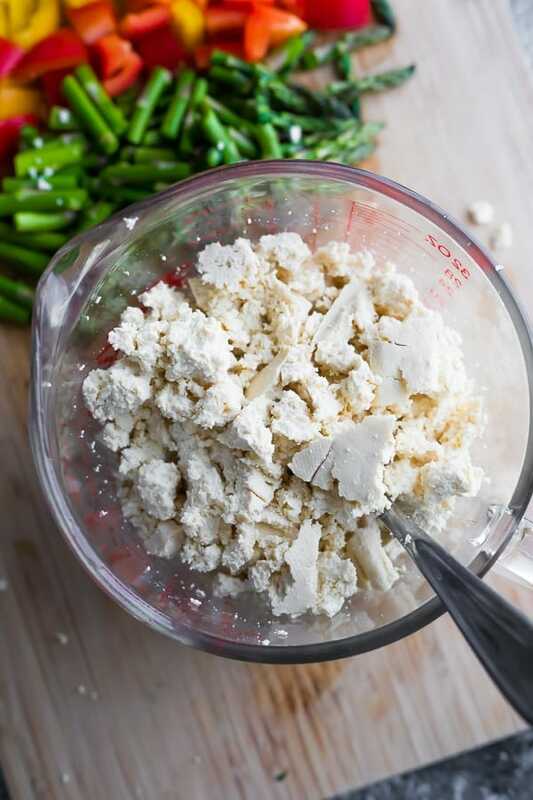 Once veggies are soft, add the tofu, spices and water. Stir until completely combined and all spices have been absorbed into the tofu, around 3-4 minutes. Portion out into 2-cup capacity meal prep containers and store in the fridge for up to 4 days. It may be possible to freeze these but it has not been tested yet. To serve, heat in the microwave until steaming hot.